Natakireeti, Dr. Rajendra Prasad, will soon be seen as Hitler. Not the maniacal Hitler from the 20th century, but a funny new age Hitler from the 21st century. 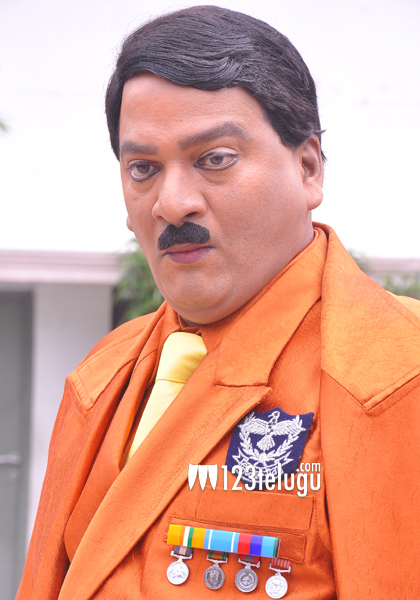 Rajendra Prasad is essaying this role in the movie ‘Top Ranker’. The film is being directed by Gollapati Narayana Rao and Pasupuleti Brahmam is the producer. Speaking about his role in the film, Dr. Rajendra Prasad said “I will be seen as a college principal in this film. Hitler is a very serious person in real life. In this film, I try to be serious but I will end up making everyone laugh. It is a film that deals with the present day education system”. The movie is currently in post-production mode and the producer has informed us that it will release in Andhra Pradesh next month.